With being pregnant the second time around, my husband and I have decided to do things a bit differently this time. Instead of having a hospital birth, we will be having this little one at a birthing center, similiar to the experience of what a home birth would be like. We have also decided not to find out the gender of baby # 2 until they bless us with their presence. I also want to try to be a bit more health conscious of my body this time around, not that I ate terribly with my son but there were some things that I could improve on. 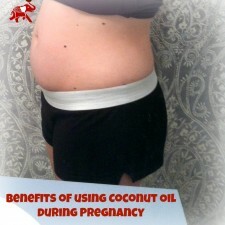 One of them being all of the health benefits of using coconut oil during pregnancy. Allow me to explain the tops ways that I have found coconut oil to be useful in my first 18 weeks of pregnancy number two! Morning Sickness– All pregnancies are different, I understand that but my pregnancy with my son felt like a breeze compared to the beginning of this one. I was constantly feeling sick and getting nauseous and I was tired of it, so I incorporated coconut oil into my daily diet. Every morning for about a month’s timespan I ate oatmeal with a good tablespoon of coconut oil mixed in. Not only was this delicious but it honestly helped me survive the last few weeks of my “first trimester sickness”. Along with putting my stomach at ease for the day it also helped give me a boost of energy when I was feeling really fatigued. Stomach Lubricant – Stretch marks are something that no woman wants to get however it is usually a part of pregnancy that you have to deal with. But I have your solution and it’s coconut oil! Coconut oil contains vitamin E which helps to mositure the skin helping to avoid unwanted stretch marks and even help reduce the visibilty of existing stretch marks. I also rub coconut oil on my belly because it has become very itchy lately due to my growing belly. Immunity – Your good health is extremely important during pregnancy, not only for you but for your growing baby. Since coconut oil has anti-fungal and anti-bacterial properties it is important to consume this healthy fat to boost your immune system. Your immune system is weakened due to pregnancy so helping to boost it will help to prevent getting a cold or the flu. That is currently how I am choosing to use coconut oil during my pregnancy and I am absolutely in love with it. I make sure to have a large jar in the bathroom and a seperate jar in the kitchen, so I can use it for skin purposes and cooking recipes without using the same jar ;). Coconut oil is also beneficial during and after pregnancy because it is known to be the “Breast Milk of Mother Nature”. This is because lauric acid is only found in a mothers breast milk and in coconut oil. So make sure to keep up your consumption of coconut oil after baby is born, if you chose to nurse, for a good milk supply! 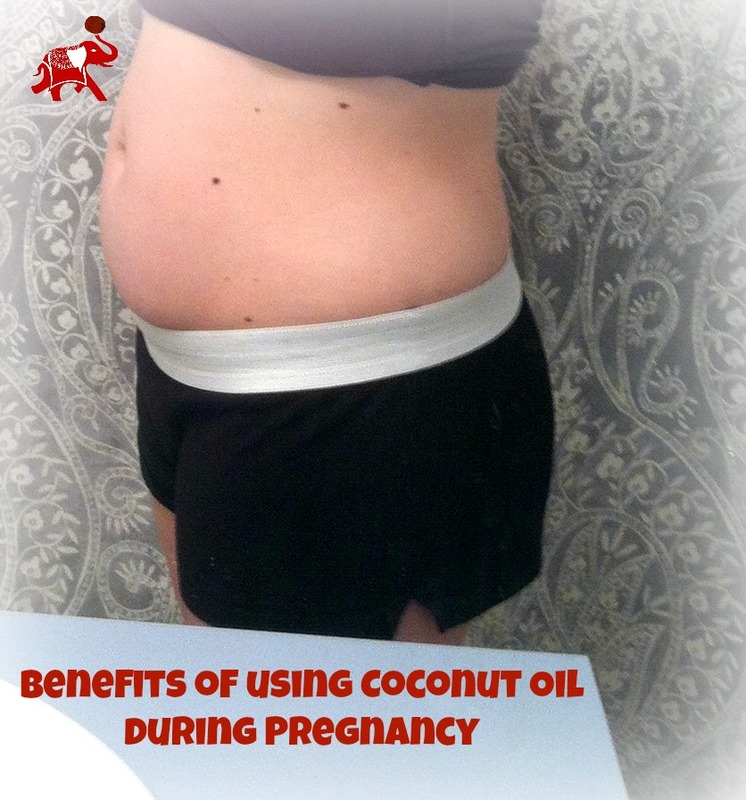 How do you use coconut oil in your pregnancy? I would love to learn new ways!